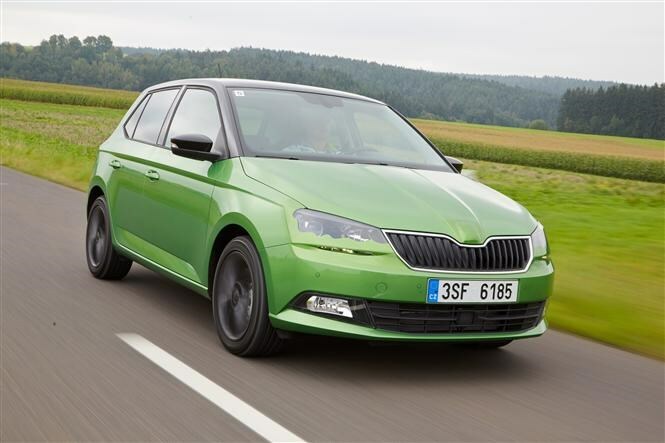 Main image caption The New Skoda Fabia. Since its rebirth by the Volkswagen group Skoda has been a volume car-maker, and there’s no model quite as crucial to the firm’s stack ‘em high, sell them cheap ethos as the Skoda Fabia supermini. Over 3.5-million have found European homes since its 1999 introduction, with more than 250,000 finding them here in the UK. Like the recent Octavia though, the Fabia has got all grown-up too. The new Skoda Fabia is actually lower (by 31mm), 8mm shorter but with a larger wheelbase and 90mm wider, translating directly into more cabin space. Certainly the slim-hipped feel from the old car has gone, and now there’s no brushing shoulders for burly blokes sat up-front. Luggage is equally well catered for, with a loading space happy to accept up to 330-litres of supermarket shopping with the seats in place, and up to 1,150-litres of tip-run junk with the rear bench folded. 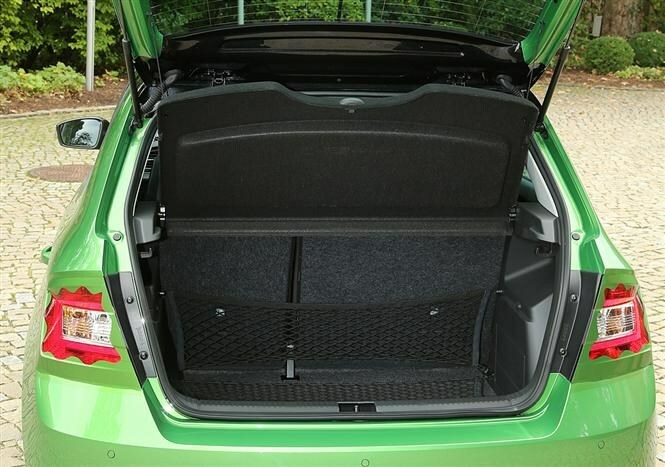 Simply clever details, with a boot floor and parcel shelf that can be adjusted for height, plus plenty of storage spots abound. It’s the view from the front seats that impresses most though, thanks to a host of switchgear, equipment and instrumentation and displays found elsewhere in the Skoda range – specifically the Octavia. That means the attractively designed dashboard feels far more grown-up than before, even if there’s no hint of a soft-touch plastic to be found anywhere. There’s a choice of three and four-cylinder diesel and petrol engines, linked to five and six speed manuals plus a six-speed DSG dual clutch automatic gearbox. Over 90 percent of UK cars will come fitted with a petrol engine. That’s a good thing, as while the three-cylinder 1.4-litre diesel is refined for something that is - by conventional standards - missing a cylinder, it’s still rather grumbly on the move. A feeling only offset by its mid-range urge. It’s a version of this 1.4-litre TDI that underpins the forthcoming Greenline model though, offering 82g/km and 91.1mpg fuel economy. Regardless of engine choice, all are fitted with start stop and are Euro 6 compliant. Equally thrummy, but with more character, is the 1.0-litre three-cylinder petrol, which is best suited to light inner-city work – struggling to keep up elsewhere. Still, it promises post 60mpg and sub 110g/km CO2 emissions. By far the most refined is the four-cylinder 1.2-litre TSI with 88bhp, which is smooth, quiet and free-revving and still manages to achieve over 60mpg and emits just 107g/km of CO2. Wider axles front and rear mean the Fabia feels more secure on the road, while ride comfort isn’t compromised even on 16-inch alloy wheels (17-inch rims are available). Exact specifications and prices are yet to be announced, but the mix of equipment available includes Front Assistant, to warn of an impending accident or collision and apply the brakes if necessary, along with Driver Assistant to monitor for drowsiness. Combined with Multi Collision Brake, bringing the car to a safe halt after a major impact, even without driver input, it makes the Fabia one of the safest superminis available. Convenience is taken care of by a speed limiter, keyless entry and start, tyre pressure monitoring, automatic lights and wipers, hill hold control and parking sensors front and rear. Skoda’s particularly proud of its Mirrorlink and Smartgate technology though, the former linking to your smartphone and mimicking its screen on the car’s infotainment display. 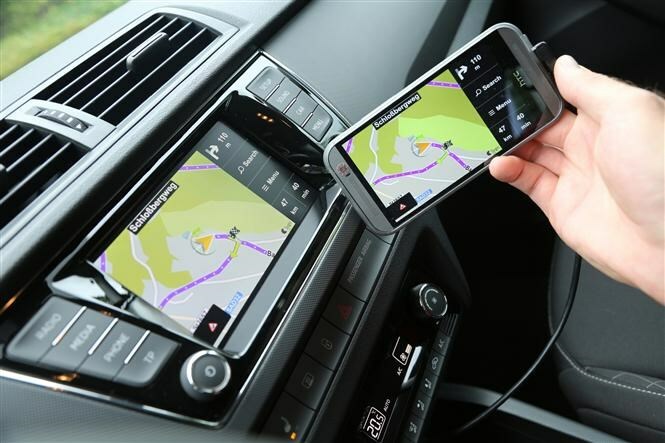 There’s no on-board sat-nav available for the car this time around, due to poor take-up on previous, so using apps like Sygic and the Mirrorlink technology is the only option for route guidance. Apple device users will have to wait though, as Mirrorlink won’t work on iOS, and the technology giant’s CarPlay won’t be available until mid 2015. A series of four (currently) apps are available from Skoda under the Smartgate umbrella that monitor the car’s performance, efficiency and routes on your smartphone, and allow data recording of trip information. 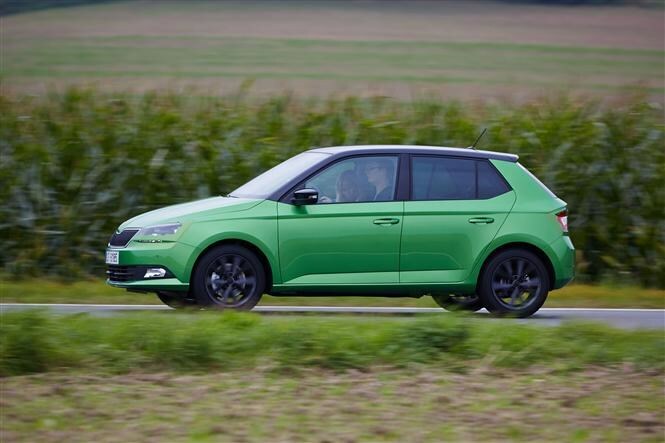 The Fabia is due to hit the UK dealer network in February 2015, where you’ll be able to choose from 15 body colours and four accent (roof, wheels and mirror caps) colours for customisation. The interior trim is almost equally as configurable. Prices are still to be announced, though in such a competitive market you can expect the new car to be priced similarly to rivals such as the Ford Fiesta, Renault Clio and Peugeot 108. Check back later this year for the full Parkers Skoda Fabia review. The New Skoda Fabia. The New Skoda Fabia. The New Skoda Fabia. The New Skoda Fabia. The New Skoda Fabia. 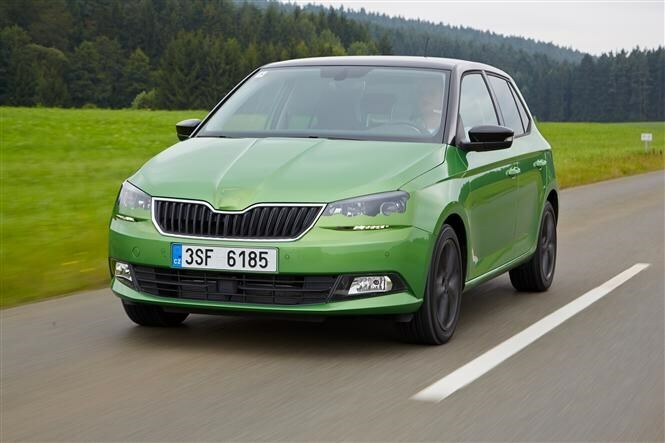 New Skoda Fabia promises more interior space and improved running costs The new Fabia features "Mirrorlink".